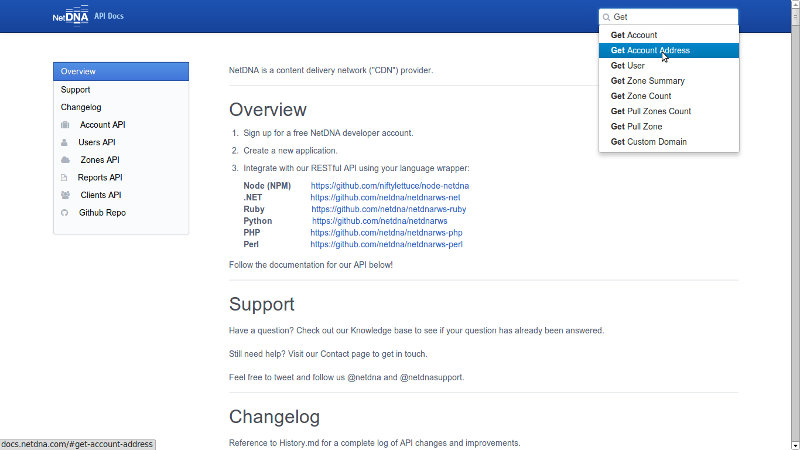 Over the past weeks I’ve helped out NetDNA by converting their API docs from hard-coded HTML to auto-generated Markdown with Github Pages. The existing docs were OK, but needed cleanup for easier management and a new design. Here’s a screenshot of what they looked like and here’s the HTML. We had to convert HTML to Markdown. Not an easy process with custom styling and getting GFM tables parsed correctly. Doing this by hand would take a while (e.g. writing <h1>Blah</h1> to # Blah and so on…) so a script to scrape/parse did the trick. It took this 100 LOC script to automate it, but it worked flawlessly. Not too fancy… but it worked! They wanted to integrate Twitter Bootstrap, and so I had a module called readme-docs which was used for a bit (I recommend it if you want something simple for your Readme.md files). However, more control over HTML/CSS without having to hack around with a CLI was essential – so we couldn’t use that module. I decided to use wintersmith to write and finish the new stack. Wintersmith is a blog engine I used in the past for setting up StartupSupper, so setup was straightforward. This turned out to be the best decision, since this module lets you easily deploy pages to Github (e.g. a blog) while letting you use Node for builds. Being able to use Node with LESS and Jade for Github Pages was the icing on the cake. Adding instructions to let future maintainers have sanity was the last step. Setting up generated docs at http://docs.netdna.com was relatively simple and straightforward. We added a CNAME in “master” branch, set DNS to point to Github, and had our wintersmith project in the “source” branch. Grunt was used for the build process, and I pulled the Gruntfile out of StartupSupper (good coders code, great reuse). Had some issues when I first tried running grunt to deploy to http://netdna.github.io (kept getting storage errors) → but then I soon realized Github was down… and then back up within minutes! 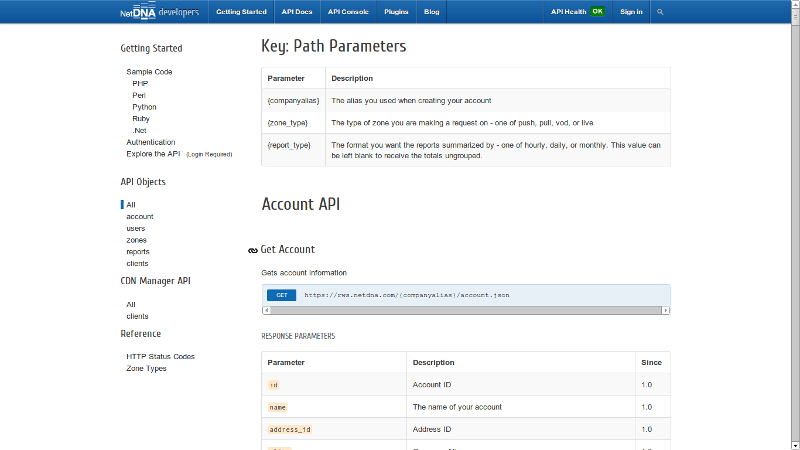 Making updates to their API is now easy. This was a guest post for NetDNA. To read the full article click here.